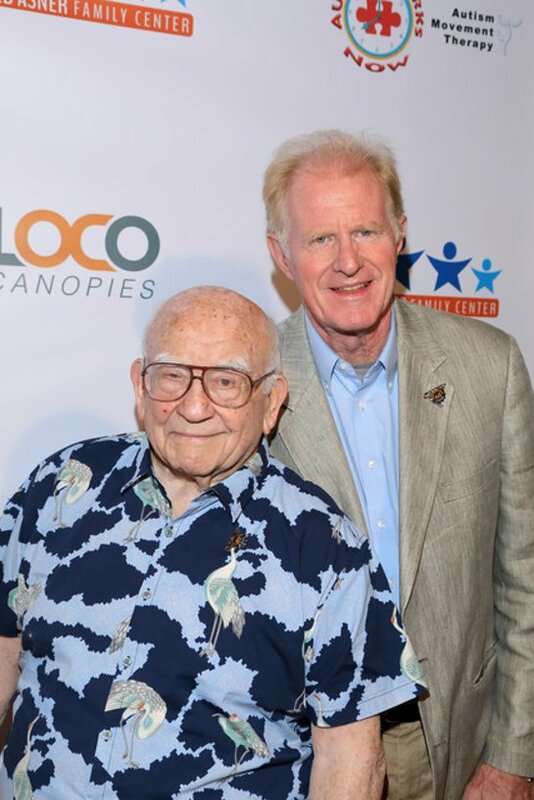 The 2018 ED ASNER & FRIENDS CELEBRITY POKER TOURNAMENT was sold out and a huge success raising in excess of $140,000 in much needed funds for The Ed Asner Family Center, dedicated to promoting mental health and enrichment programs to special needs children and their families, it was announced by Matt Asner, President. 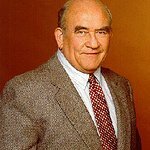 Emmy-winning actor and autism advocate Ed Asner (The Mary Tyler Moore Show, Lou Grant, “Up”), who has a son and grandson on the autism spectrum, hosted the event and was joined by comedian Tom Arnold, Thomas Gibson (Criminal Minds), Maureen McCormick (The Brady Bunch), Richard Schiff (The Good Doctor), Kate Linder (The Young and the Restless) among many others. Attended by over 350 guests, the poker tournament took place on Saturday, September 8, 2018 at the Playa Studios in Culver City. Other celebrity friends who played a hand and supported the cause included Ed Begley Jr.., Marie Post, Willie Garson, Eric Roberts among many others. In addition to the Celebrity Poker Tournament, guests enjoyed a dinner buffet by Chef Gwen Kenneally, BACK TO THE KITCHEN; cocktails provided by Ragin Cajun Café; wine provided by Sprouts Farmers Market; tequila tasting bar by Oro Imperial; a Wine and Whiskey Pull; and numerous additional opportunities to raise money for The Ed Asner Family Center. Both a silent and a live auction were held during the festivities. Bidders had the opportunity to win VIP concert tickets, vacations to Bali and Italy, jewelry, gourmet catering experiences, specialty wine tasting packages, sports packages for Kings, Dodgers, Rams and Clippers, mattress sets provided by Plush Beds, among many others. The top three tournament winners were awarded various prizes. Top prize was awarded to first place winner James Green, who received a champion trophy and a weekend getaway at PlumpJack’s in Carmel. Second place winner was Sherwin “Ace” Ross, who received a trophy and an Amazon Fire tablet. In third place was Shawn Sunbar, who received a trophy and an Amazon Echo. The 2018 Ed Asner & Friends Poker Tournament was proudly sponsored by PlushBeds; Newmark Knight Frank; Hayworth; Turelk; The Cary Family; TekWorks; Sprouts Farmers Market; ENV; Warner Bros Pictures; LoveSac; Ragin Cajun Café; Playa Studios; Gibraltar Security Services, Inc; Oro Imperial; and Rive.